Stacey grew up in historic Germantown, Ohio where she was active in varsity soccer, basketball and track throughout her high school career. She went on to complete a Bachelor of Science degree in Biology from Morehead State University where she also played Division I Basketball for the Lady Eagles. Following graduation, Stacey went on to further her education at the University of Dayton where she received her Doctorate of Physical Therapy (DPT) in 2012. After graduating, she began working at an outpatient facility for a local hospital where she was able to provide treatment for a wide variety of diagnoses and patient populations for four years. 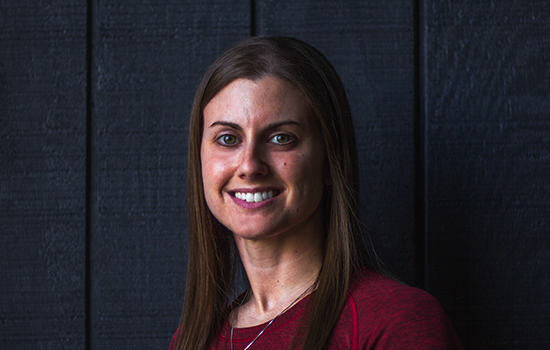 Her love for athletics and sports rehabilitation led her to Mobility Fit where she excels in implementing functional movement training, sports performance therapy, and assisting all clients in their return to dynamic activities while reaching all of their higher level goals. While in physical therapy school, Stacey’s love for sports led her back to her high school alma mater; Valley View, where she began her coaching career. Since the spring of 2009 she has coached junior varsity soccer for one season, junior varsity basketball for two seasons and she continues to coach varsity track currently, where she specializes in the development of young hurdlers. Stacey is also a runner herself and has a goal of completing a marathon in the future. When she is not working with clients or outside running, she also enjoys lifting, hiking, climbing, boating, traveling, exploring new activities/destinations in the area and spending time with family.